The New Jersey Network (NJN) was a network of public television and radio stations serving the U.S. state of New Jersey. NJN was a member of the Public Broadcasting Service (PBS) for television and the National Public Radio (NPR) for radio, broadcasting their programming as well as producing and broadcasting their own programming, mostly relating to issues in New Jersey. With studios in both Trenton and Newark, NJN's television network covered all of New Jersey, plus parts of Pennsylvania, New York, Connecticut and Delaware; the radio network primarily served several areas of New Jersey that were not covered by Philadelphia and New York City public radio stations. New Jersey Network ended operations on June 30, 2011. The television network was succeeded by NJTV, and the radio stations were split through two separate outright sales to different public broadcasting entities. The system was founded in 1968 by an act of the New Jersey Legislature establishing the New Jersey Public Broadcasting Authority (NJPBA). New Jersey already had a public television station licensed within the state—WNET, licensed to Newark. However, for all practical purposes, WNET was a New York City station, effectively leaving New Jersey without a public station of its own. With state funding and four UHF licenses assigned years earlier by the Federal Communications Commission, the NJPBA went to work building the state's public television stations. The first station, WNJT in Trenton, went on the air on April 5, 1971, with the other three stations signing on over the next two years. The system was known on-air as New Jersey Public Television (NJPTV) until 1981, when it adopted the New Jersey Network identity. Due to New Jersey being split between the New York City and Philadelphia markets, NJN's television network reached viewers in parts of five states. While this gave NJN one of the largest potential audiences in the country, it also forced it to compete directly with three of the highest-rated PBS stations in the nation—network flagship WNET, secondary New York City member station WLIW, and Philadelphia's WHYY-TV. NJN spent most of its existence searching to carve out a niche of its own. One of its solutions had been to air some of the more popular PBS shows on a delayed basis. Another solution has been to focus its efforts on its news operation. The latter worked very well, as NJN and its reporters won many awards for their journalistic efforts. In the 1980s, NJN was the first media outlet to break the "Taggart Affair" political patronage scandal. NJN's newscasts and public affairs programming were co-produced (initially) and simulcast on WNET for that station to fulfill its licensing commitment to Newark. NJN's radio network began operation on May 20, 1991, when WNJT-FM in Trenton signed on; eight other stations would be established over the following seventeen years. In the immediate aftermath of the September 11 attacks of 2001, the network temporarily broadcast WABC-TV. In 2008, in the face of a proposed 35 percent cut in funding, NJN officials asked the state legislature for permission to become an independent nonprofit entity. Under this proposal, the state network would likely be transferred to its nonprofit fundraising arm, the NJN Foundation. Two consultants looking into fundraising options say that breaking off from the state would trigger an avalanche of private funding. After assuming the office of New Jersey Governor in 2010, Chris Christie voiced his support for transforming NJN into a not-for-profit organization in his March 2010 budget speech. On October 15, 2010, a bipartisan legislative task force called for a "dramatic reconfiguration" of the state network, but not full privatization. Christie nonetheless moved forward with plans to remove state funding. On November 17, NJN handed layoff notices to 130 workers, leading to speculation that the state network would shut down on January 1, 2011, when funding from the state would end. On December 17, 2010, Gov. Christie signed legislation for transferring the state network to independent funding. The legislation also suspended layoffs. Television: WNET assumed control of NJN's television stations for a five-year term under a new nonprofit entity called Public Media NJ. The television network was renamed NJTV, and has promised to feature increased coverage of news and issues pertinent to New Jersey, as well as programming from the WNET and PBS libraries. Caucus Educational Corporation, which produces Caucus: New Jersey, serves as a producing partner with NJTV for New Jersey-focused public affairs programming. The agreement did not include transfer of the station licenses, which were retained by the New Jersey Public Broadcasting Authority; the contracts are instead tantamount to local management agreements which nominally do not require approval from the FCC. Ironically, NJN was created in part due to concerns that WNET wasn't adequately serving the New Jersey side of its service area. Radio: NJN's radio network was divided in a pair of multi-station sales, with New York Public Radio (owners of WNYC-AM-FM in New York City and Newark-licensed WQXR-FM) acquiring four stations and WHYY-FM in Philadelphia obtaining the other five. New York Public Radio used its stations to start a new New Jersey-oriented network, New Jersey Public Radio, while WHYY used its stations to expand the reach of its existing radio service. These sales were approved by the FCC on August 29, 2011. On June 23 the New Jersey State Assembly voted, 45 to 30, in favor of rejecting the WNET/Caucus proposal for transfer of control of the NJN television stations. The state Senate, however, passed the resolution on June 27 by a 20 to 19 margin, allowing the deal to go into effect as scheduled on July 1. All 130 NJN employees were laid off or retired as a result of the system's closure. The last scheduled program aired on NJN television was Theatre Talk, which was followed by a previously-aired news report and a pre-taped, farewell message by Janice Selinger, NJN's acting executive director. NJN's website, www.njn.net, was archived and remained active for about a year after the shutdown; it redirects to the NJTV webpage, www.njtvonline.org for the time being, however as of September 2014, it is no longer redirected to this website as the domain name was sold. Some of NJN's in-house public affairs programs, such as Due Process, On the Record and Reporters Roundtable, were picked up by and continue to air on its successor, NJTV. 1 WNJN used the callsign WNJM (the M standing for Montclair) from 1973 sign-on to 1994. After NJN ceased operations and WNET took over the operations of NJN, NJN2 was removed and sub-channel .3 remains intact until October 2017 when the sub-channel was removed and the .2 sub-channel began broadcasting NHK World. 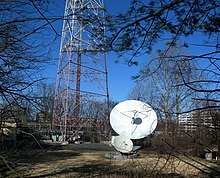 The four NJN stations shut down their analog signals on June 12, 2009, as part of the DTV transition in the United States. Each of the four NJN stations remained on their pre-transition digital assignments using PSIP to display virtual channels for each NJN station corresponding to their former analog channel numbers. NJN aired live drawings from the New Jersey Lottery until the network's closure in 2011, at which point the Lottery began live-streaming its drawings (via Ustream, and later Livestream). NJN's successor, NJTV, aired Lottery drawings from September 2011 through the end of 2012; on January 1, 2013, the drawings moved to two CBS-owned stations, WLNY-TV in the New York area and WPSG in Philadelphia. As of 2016, these drawings are now aired on WPIX in New York and WPHL-TV in Philadelphia, both owned by Tribune Broadcasting. Unlike its television counterpart, NJN Radio covered mainly southern New Jersey, with only two transmitters in the northern part of the state. Due to the crowded state of the noncommercial end of the FM dial in the northeastern United States, the nine stations all operate at relatively low power. Much of the programming came from NPR, with a simulcast of the audio of the television network's NJN News following All Things Considered. ^ Broadcasting & Cable Yearbook 1995 (PDF). 1995. p. B-265. Retrieved January 28, 2011. ^ Behrens, Steve. With its state aid shrinking, NJN asks for independence. Current, 2008-05-12. ^ "Text of Gov. Chris Christie budget speech to Legislature". The Star-Ledger. 2010-03-16. Retrieved 2010-11-20. ^ "Task force calls for 'dramatic reconfiguration' of NJN, does not support full privatization". The Star-Ledger. 2010-10-15. Retrieved 2010-11-20. ^ "NJN employees receive layoff notices as N.J. moves station workers off payroll". The Star-Ledger. 2010-11-17. Retrieved 2010-11-20. ^ Jensen, Elizabeth (June 6, 2011). "WNET to Oversee New Jersey Public Television". The New York Times. ^ Flanagan, Jenna (June 30, 2011). "New York Public Radio Acquires Four NJN Radio Stations". WNYC. Archived from the original on September 7, 2011. Retrieved July 1, 2011. ^ "WHYY Philadelphia Expands New Jersey Coverage, NJN Is Kaput". Atlantic City Central. July 1, 2011. Retrieved July 1, 2011. ^ "N.J. Assembly rejects plan to transfer NJN management to N.Y.-based WNET". The Star-Ledger. 2011-06-23. Retrieved 2011-06-27. ^ "N.J. Senate fails to block WNET plan, ending NJN network". The Star-Ledger. 2011-06-27. Retrieved 2011-06-28. ^ "NJN signs off today, leaving 130 people out of work". NJ.com. 2011-06-30. Retrieved 2011-06-30. ^ Camcorder Tests & More (1 July 2011). "The End of NJN - New Jersey Network signoff June 30th, 2011" – via YouTube. ^ Drucker, Judith. "LIVE TELEVISION BROADCAST GIVES NEW JERSEY LOTTERY PLAYERS EVEN MORE WAYS TO WATCH THE WINNING NUMBER DRAWINGS". New Jersey Lottery. New Jersey Lottery. Archived from the original on 7 July 2013. Retrieved 15 May 2013. ^ "New Jersey Public Radio". This page was last edited on 22 December 2018, at 21:46 (UTC).